Born in Vienna, Schüssel attended that city's Schottengymnasium, a well known Roman Catholic gymnasium for boys, where he took his Matura exams in 1963. He went on to study at the University of Vienna, receiving a Doctorate in Law in 1968. Schüssel was secretary of the parliamentary group of the Austrian People's Party from 1968 to 1975. From 1975 to 1991, he was Secretary General of the Austrian Business Federation, a sub-organization of the Austrian People's Party. Minister in the "Grand Coalition"
He became Minister for Economic Affairs on 24 April 1989 in a coalition government under Chancellor Franz Vranitzky (SPÖ) formed by the Social Democratic Party (SPÖ) and the Austrian People's Party (ÖVP). On 22 April 1995, at the 30th Party Congress of the ÖVP, Schüssel was elected chairman of the Austrian People's Party. He took over the chairmanship in a coup succeeding Busek and replacing the party’s ministers in the governing coalition. On 4 May 1995, Schüssel was sworn in as Vice-Chancellor and Federal Minister for Foreign Affairs in Franz Vranitzky's fourth government. He held the same posts in Chancellor Vranitzky's fifth Cabinet. In Chancellor Viktor Klima's (SPÖ) first government, from 28 January 1997 to 4 February 2000, Schüssel was again Vice-Chancellor and Federal Minister for Foreign Affairs. In the 1999 election, Schüssel's ÖVP finished third, trailing Jörg Haider's Freedom Party (FPÖ) by 415 votes. Until then, his party had been the junior partner in a coalition with the SPÖ. However, talks to renew that coalition failed after several months of talks, which induced Schüssel to enter a coalition with the Freedom Party. Since FPÖ leader Jörg Haider was deemed too controversial to be part of the Cabinet—let alone serve as chancellor—Schüssel was sworn in as chancellor on 4 February 2000 (see Mr. Schüssel's introductory template at right above). He was the first chancellor in 30 years who was not a representative of the SPÖ. The government headed by Schüssel was – in its beginnings – probably the most controversial since 1945, which to a large extent is due to the coalition formed with the populist right-wing FPÖ. Although Haider was never a member of Schüssel's government, his participation raised widespread criticism, both inside and outside of Austria. Between 2000 and 2002 there were weekly Donnerstagsdemonstrationen (Thursday Demonstrations) through the city and the inner districts of Vienna. The coalition with the Austrian Freedom Party and various policies aiming at achieving the much-maligned Nulldefizit (zero budget deficit) were the main points of criticism. In an attempt to pressure Schüssel's democratically elected government into submission, the heads of the governments of the other 14 EU members decided to cease co-operation with the Austrian government, as it was felt in many countries that the cordon sanitaire against coalitions with parties considered as right-wing extremists, which had mostly held in Western Europe since 1945, had been breached. Because nothing in the legal framework of the European Union supported an official measure, informal (and officially non-existent) "sanctions" were imposed by mutual consent. For several months, other national leaders (most of all France's president Jacques Chirac, Germany's chancellor Gerhard Schröder, and leading Belgian politicians) ostracised the members of the Schüssel government, refusing basic social interaction and keeping unavoidable contacts to the legally required minimum. Government supporters often blamed the opposition Social Democrats and President Thomas Klestil for the so-called "sanctions" imposed by the EU14 and their loyalty to the country was thus put into question. Indeed, the UK's mass circulation paper The Guardian had reported during the decisive days of Schüssel's negotiations that "Austria's caretaker chancellor, Viktor Klima, urged fellow EU leaders to help influence the coalition bargaining," and that as a result "diplomats said that while an EU meeting was unlikely on constitutional grounds, the issue could be discussed by leaders of the Socialist International." Schüssel's ÖVP had been a member of all governments from 1945 to 1970 and from 1986 onwards, but had never been completely excluded from power (even though its influence was considerably reduced during Bruno Kreisky's era) because the tradition of social partnership meant that representatives of all major interest groups in the country would be consulted before any policy was enacted. When Schüssel came into power, he broke with that tradition, which many Austrians had considered an unwritten part of the constitution, to be able to rapidly implement reforms that he felt to be necessary. Government supporters claimed this to be the true reason for the demonstrations and for the so-called "sanctions". The organised unfriendliness carried on for months while both the Austrian government (and – behind the scenes – also the EU-14) sought a solution for the untenable situation. Because the "sanctions" were only a means of coordinated diplomatic behaviour and not founded in the EU-Charter, EU-law did not provide a way out. After a couple of months a delegation of three experts (die drei EU-Weisen) was sent to Austria to examine the political situation and to determine if the EU-14's "sanctions" could be lifted. Their report did not find reasons that would permit the other EU-members according to then existing EU-law to engage in further measures going beyond those that are allowed in international law. However, the more important conclusion the report draw was that a framework for exactly these kind of situations should be implemented and incorporated into EU-law. This subsequently happened with the Treaty of Nice in 2001. Following the report, the EU leaders tacitly returned to normality during the summer of 2000 even though the Austrian government remained unchanged, allowing the center-right parties to claim a sort of "victory". Though the "sanctions" did little material damage, their psychological effect was lasting and profound. In Austria, they essentially ended the broad popular support which the European Union had initially enjoyed in the country. In the populations of some EU member states, the frequently highly manipulative media coverage of the affair reinforced simmering anti-Austrian prejudices that dated back many decades, or even to World War I. By the summer of 2002, a series of setbacks at local and regional elections had resulted in considerable internal strife in the FPÖ, which was instigated by Haider and some of his closest allies. When the leading proponents of the more pragmatic wing of this party, Vice-Chancellor Susanne Riess-Passer and Finance Minister Karl-Heinz Grasser, announced their resignation, Schüssel broke the coalition and announced a snap general election for November 2002. The People's Party won a smashing victory, taking 79 seats to become the largest party in the National Council for the first time since 1966. However, after negotiating for months with both the SPÖ and the Green Party, Schüssel decided to renew his coalition government with the Freedom Party, which had been reduced to a mere 10 percent of the vote. On 28 February 2003 he was sworn in as Chancellor again, heading the second Schüssel government, this time with the confidence of having won the elections. In April 2005, the FPÖ effectively split into two parties. The bulk of the FPÖ—including Haider, the FPÖ cabinet ministers and most of the FPÖ parliamentary caucus—broke off to form the Alliance for the Future of Austria (BZÖ), while the party base in most states remained with the old party. In spite of this change in the nature of his coalition partner, Schüssel continued the coalition until the end of the current legislative period (see Austrian legislative election, 2006). However, after the election Schüssel mentioned that a coalition with Haider's party or the Freedom Party would not be reasonable. Following the death of Liese Prokop on 31 December 2006, Schüssel was sworn in as interior minister on 2 January 2007, and served in this additional post until a new government was formed, which occurred on 11 January. Austria succeeded the United Kingdom in holding the European Council Presidency on 1 January 2006. In the presence of German Chancellor Angela Merkel, Schüssel promised to lead the European Union "Hand in Hand" with Germany, and Merkel promised that Germany would do everything to "help" Austria during its presidency and make it a success. Schüssel also stated that Austria needed "some friends of the presidency". This led to Brussels diplomats describing the Austrian presidency as "the small German presidency", according to French newspaper Le Figaro. Following the 2006 election, Schüssel became Chairman of the ÖVP Parliamentary Group. He announced after the September 2008 election that he would continue to sit in parliament only as a backbencher; Josef Pröll was to replace him as Chairman of the ÖVP Parliamentary Group. In addition to his parliamentary work, Schüssel served on the Commission of Eminent Persons on The Role of the IAEA to 2020 and Beyond, chaired by Ernesto Zedillo, whose report Reinforcing the Global Nuclear Order for Peace and Prosperity was launched in June 2008. In 2011, Schüssel retired from parliament due to massive charges of corruption against members of the governments led by him. The government's attempts at achieving a balanced budget (called "Nulldefizit") – while being more successful than most of its contemporary initiatives abroad – failed. Changes involved a mixture of raising taxes and fees on the one hand and cost-cutting measures on the other which proved highly visible and prompted significant criticism. For example, the Austrian education system suffered considerably, shown by the PISA study released in 2004: many salaries and expensive projects were cut at universities, even though the government proclaimed it would bring teaching and research to a "world-class" level. Cost-cutting in the security sector was blamed for an increase in crime. At the same time, Schüssel's government increased public spending in certain areas. For example, the new "Kindergeld" (children money) to help families replaced the old "Karenzgeld", which was dependent on the recipient standing in employment. This change was a nod to the Freedom Party, which had campaigned for this measure. The decision to replace the old Draken fighter planes of the Bundesheer with 18 Eurofighters (originally 24 were ordered, this number was reduced after the 2002 floods) was seen as waste of money by the opposition, most of all because of the attempts to save money in almost every area of the public administration. 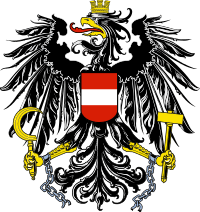 The government's arguments for this was that the Austrian State Treaty, according to which Austria needs to be able to defend herself, is to be read to imply that Austria must be in complete control of her air space. The opposition argued that this goal could have been reached in a much cheaper way. Starting from around 2030, the unfavorable structure of the population pyramid had been forecast create a ratio of active to retired workers of 1:1. Schüssel's pension reform made provision for this in the reduction of future pensions and raising of the retirement age. Schüssel's reform of the Austrian pension system is more broad-sweeping and thus more likely to be effective than all previous reforms in this area combined. Demographics experts insisted that it ideally should have gone further, whereas the SPÖ and the Austrian Federation of Trade Unions (ÖGB) protested heavily and argued that the pension losses, limited by Schüssel to 10% and later reduced to 5%, were excessive. Such measures laid the groundwork for later military reform and pension reform. Mandatory military service to reduce to six months or even its abolition. From 2005 onwards, corporate tax was cut to 25% to stimulate investment and economic growth. This was an example of harmonization toward neighbouring taxes as recent EU and Schengen area member Slovakia had consistently lower tax rates. However, critics argued that such a tax advantage for firms was unfair to many sole traders. European Policy Centre (EPC), Program Chair "European Politics and Institutions"
Honorary Citizen of Tirana, Albania. ↑ Top drawer European Voice, 22 July 1998. ↑ "New government coalition formed in Austria". KUNA. 1 March 2003. Retrieved 16 October 2013. ↑ "Austria's chancellor sworn in as temporary interior minister", Associated Press (IHT), 2 January 2007. ↑ Wolfgang Schüssel zum Vorsitzenden des Kuratoriums der Konrad-Adenauer-Stiftung gewählt Konrad Adenauer Foundation, press release of 12 October 2015. ↑ RWE holt Reizfigur Schüssel Süddeutsche Zeitung, 24 February 2010. ↑ Wolfgang Schüssel in das Kuratorium der Bertelsmann Stiftung berufen Bertelsmann Foundation, press release of 19 April 2007. ↑ European Politics and Institutions European Policy Centre (EPC). Wikimedia Commons has media related to Wolfgang Schüssel.